These ladies are volunteers, but I think each has higher hopes! 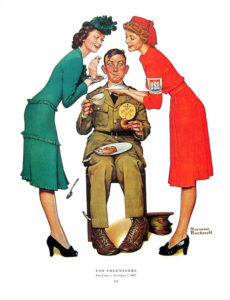 Judging by the spoon dropping and the donut about to go, I think that soldier is smitten as well. This comical painting is by Norman Rockwell.